On Friday, I spent the morning taking in the sights (and sounds) of the SWELL Sculpture Festival 2017. This year the SWELL Sculpture Festival celebrates it’s 15th year. The first SWELL Sculpture Festival was held over a weekend in September 2003 and attracted around 6000 visitors. 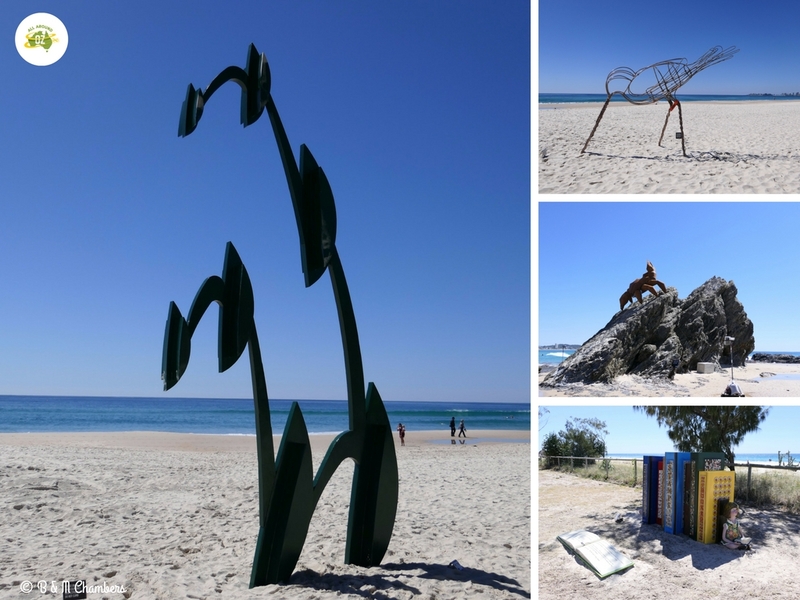 Fast forward to 2017 and the SWELL Sculpture Festival now runs for two weeks and attracts around 265,000 visitors. One thing that has not changed in the last 15 years is the fabulous location of Currumbin Beach. It really is the most stunning backdrop to display these works of art. Some pieces are displayed on the beach, some on rocks at either end of the beach and some sit in the grass area along the side of the footpath. Once again many of the pieces are thought provoking, some are humorous and a few are just plain weird! But with 50 artists exhibiting this year, there is sure to be something to please everyone. So here is a look at my personal favourites from the SWELL Sculpture Festival 2017. This was easily my favourite piece. Depiciting a Black Dragonfish it was intricate in it’s design and featured coloured LED lights and ‘razor sharp’ polished metal teeth. It really did look like it was swimming through the water. The artist won the Jennie Neumann OAM Emerging Artist Award and I can see why. I loved it. I loved this piece for it’s cleverness and intricate design. Perched high on top of Elephant Rock, ‘These Hands’ can be seen as you round the corner at the northern end of Currumbin Beach. They really are a stand-out feature of this years Festival. Made out of marine grade stainless steel chain, each link has been welded together to make a pair of hands clasped together. Van Dam won the Swell Sculpture Festival Emerging Artist Award in 2013 and this year won the Artist Peer Award. These hands are truly a work of art and looked amazing against the blue of the sky and water. What a concept! 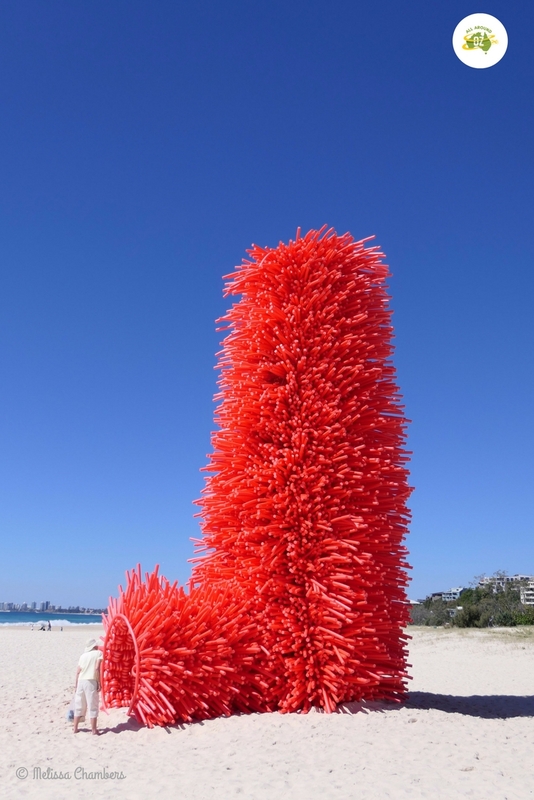 I would never think to make a giant ‘boot’ sculpture out of red pool noodles. But you know what? It works. Each noodle is folded through a wire frame. You can walk inside the toe of the sculpture and when you look up you can see the blue sky surrounded by red. The artist draw on his experiences as a Domestic Violence counselor to create the artwork and it is meant to symbolise a ‘Safe House’ for those affected by domestic violence. Regardless of the meaning I thought it was a very clever concept and certainly very eye catching. “Safe’ is made out of hundreds of red pool noodles. Captain Goodvibes was a cartoon character originally created by Tony Edwards in the 1970’s for surf magazine ‘Tracks’. He became something of a cult hero and artist Joe Stark celebrates that with this cheeky sculpture. Aussies have a great sense of humour and don’t mind poking fun at themselves and that is what I think the artist has done with this piece. 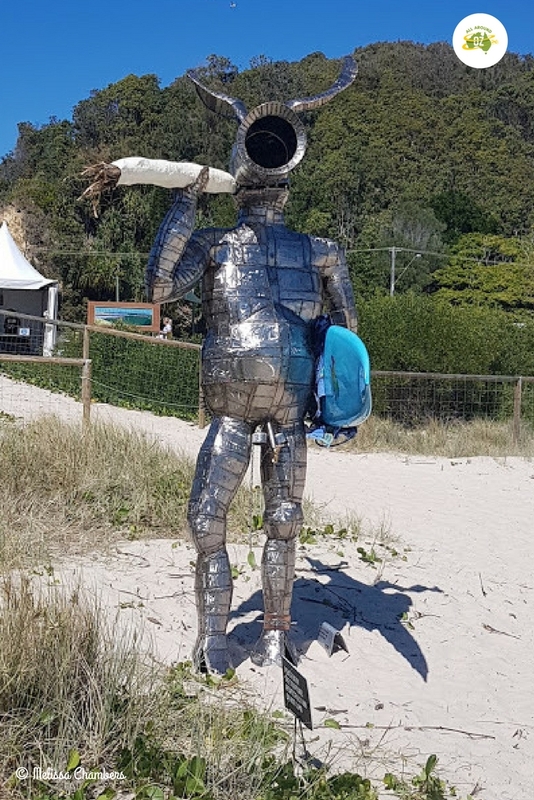 From his rotund tummy, to his unusual ‘manly bits’ (its a tap and two bells) to the giant reefer in his mouth, this sculpture is all about fun. Captain Goodvibes is a rather cheeky piece that pokes fun at us Aussies. This years SWELL Sculpture Festival runs until 17th September and there are no cover charges. But a program will cost $5.00. So why not pack a picnic and head to Currumbin Beach for the day. You can find more information on the SWELL Sculpture Festival 2017 HERE. Just a small selection of sculptures at this years SWELL Festival. 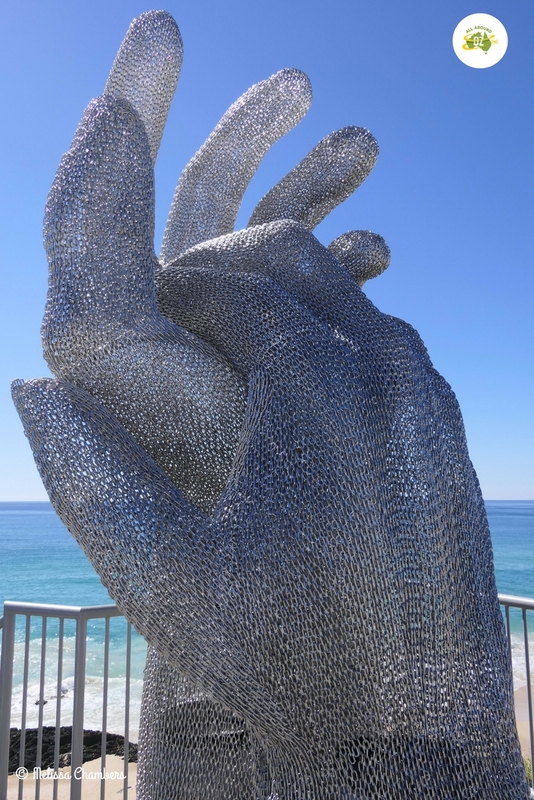 I would love to go to the Sculptures by the Sea in Sydney. Will have to add it to my extensive list!